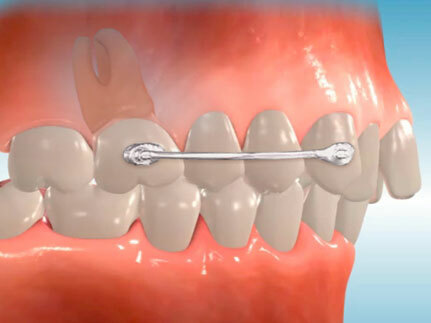 The Carriere Distalizer Is an orthodontic device developed to correct a bite without removing permanent teeth when teeth have erupted incorrectly. 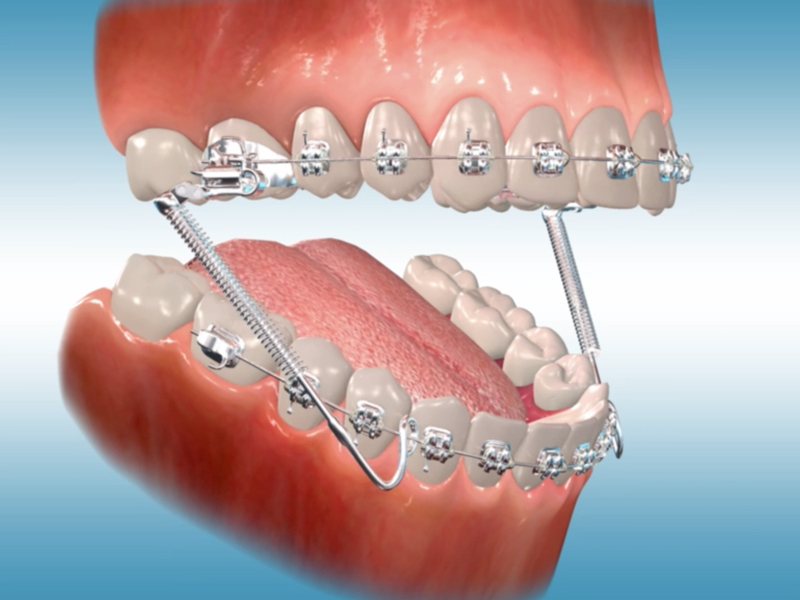 It will correct patients with protrusive upper teeth or patients with underbites prior to the placement of the braces. It can siginificantly shorten treatment time. 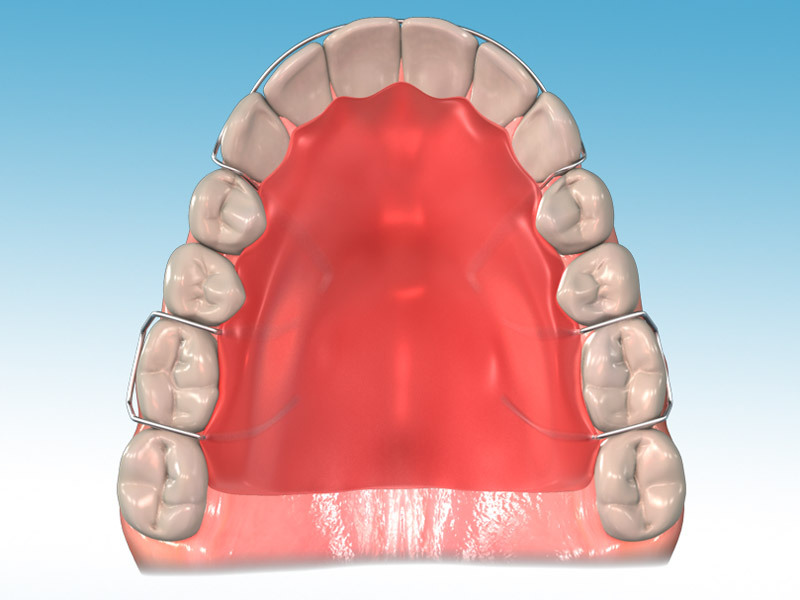 The Distal Jet is an appliance used on the upper teeth to fix a Class II bite (upper teeth forward of the lower teeth). The Distal Jet sits on the palate of the mouth and is banded to the molars. A spring attached to the acrylic body of the Distal Jet applies continuous force to the molars. This force is what moves the teeth to the back of the mouth. 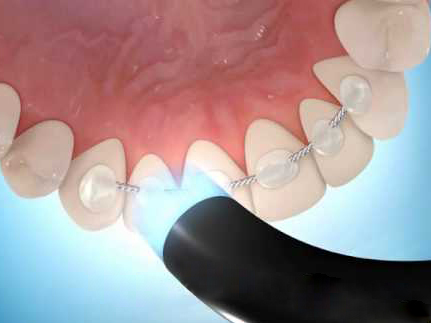 The treatment time for the Distal Jet is shorter than for other appliances that do the same job because it is a fixed appliance and maintains continual force against the teeth. 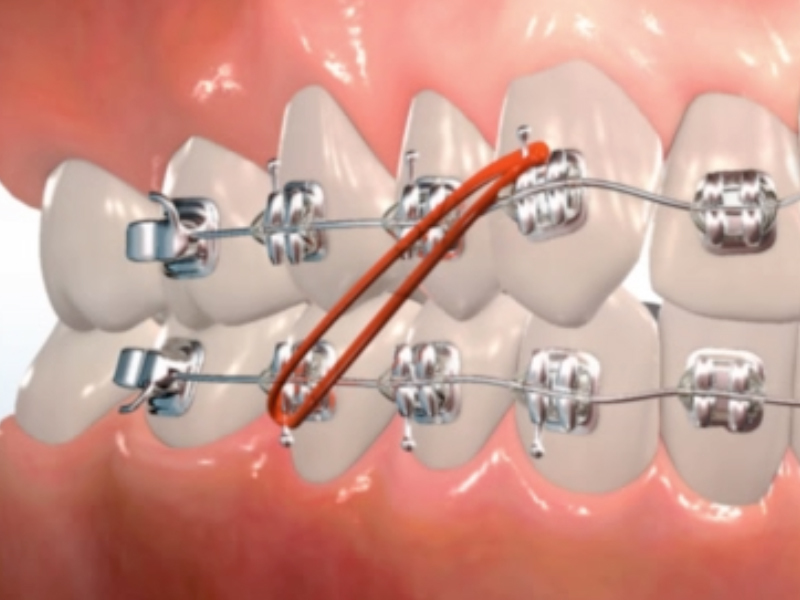 Elastics or rubber bands help move the upper and lower teeth relative to each other, ultimately achieving a better bite. These orthodontic rubber bands are typically effective for correcting overbites, underbites, or other types of alignments of the jaw. 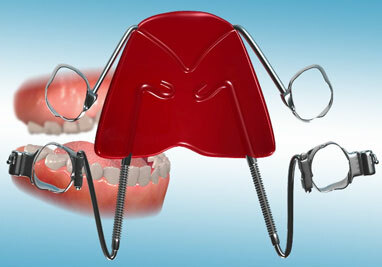 They are also useful for moving a tooth out of alignment or to close a space in the mouth. 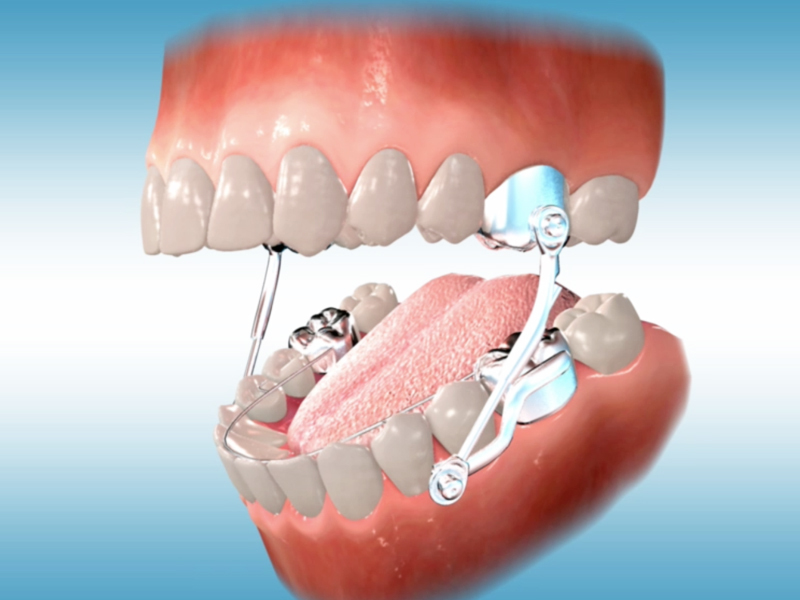 A forsus appliance is used to correct a class II bite by pushing the lower teeth forward and the upper teeth backward. Unlike rubber bands, this appliance is not removable. 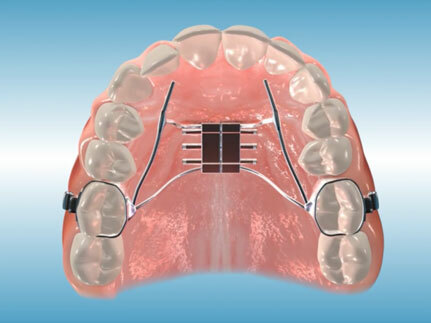 A removable appliance worn to restrict growth of the upper jaw and improve overjet problems. 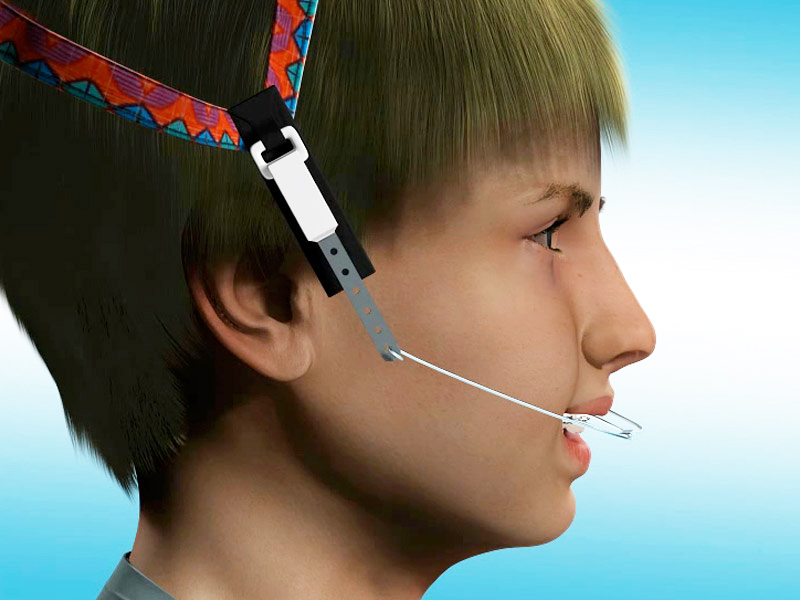 It normally consists of a facebow that attaches to the teeth and a strap that fits around the neck or head. A Mara is a fixed appliance consisting of metal caps and small, hook-like devices. The hooks impact during the bite to drive the lower jaw forward retraining the bite and correcting a Class II problem. A device that is used to protect your mouth from injury when you are participating in sports. 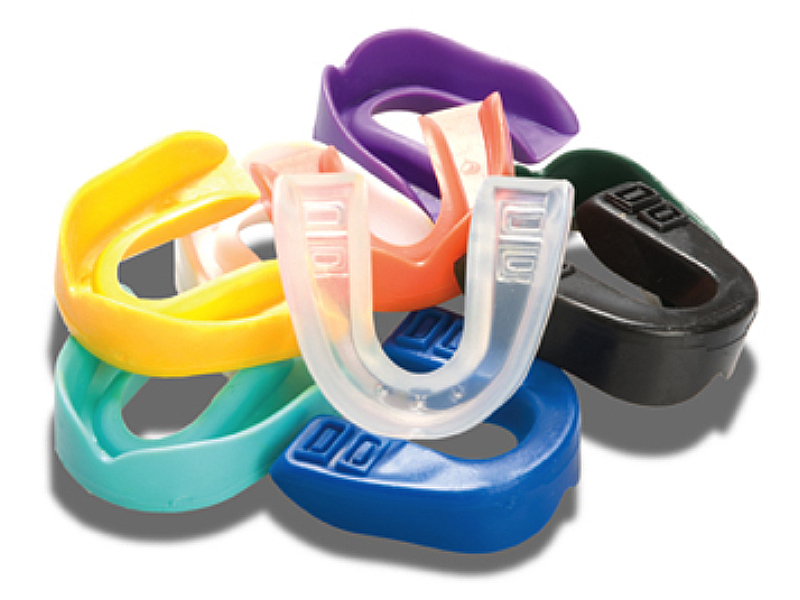 The use of a mouthguard is especially important for orthodontic patients, to prevent injuries. 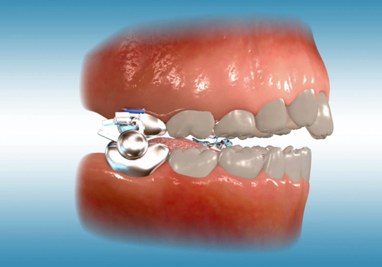 A palatal expander, also known as a rapid palatal expander, rapid maxillary expansion appliance, palate expander or orthodontic expander, is used to widen the upper jaw so that the upper and lower teeth will fit together better. The Quad Helix is checked and expanded approximately once every six to eight weeks. 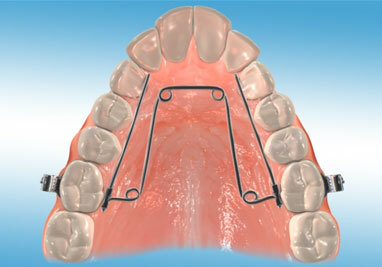 After the expansion is complete, the Quad Helix will remain in the mouth until the expansion is stable. Patients may feel mild discomfort for a couple of days. The tongue and cheeks have to make adjustments to the new appliance. Speaking and eating will require patience and time getting used to your appliance. Avoid hard foods and sticky foods. You will be able to clean your teeth and Quad Helix with your regular toothbrush.